Well, it's not a sports documentary, it's just a 30-minute break for the 30 remaining players in today's $30,000 Guaranteed $345. Shawn Roberts at 200k leads the way. 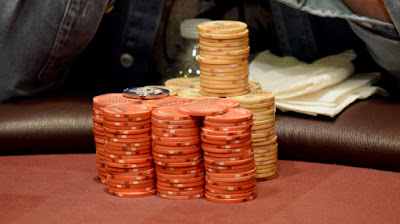 JohnQTD is doing a color-up to race off the black 100 chips before he gets a chance for a quick dinner, but I'm escaping now.